Former White House chief strategist Steve Bannon is reportedly terrified of the #MeToo movement – and thinks Oprah Winfrey poses an existential threat to President Donald Trump. “Women are gonna take charge of society. And they couldn’t juxtapose a better villain than Trump. He is the patriarch,” he told journalist Joshua Green. 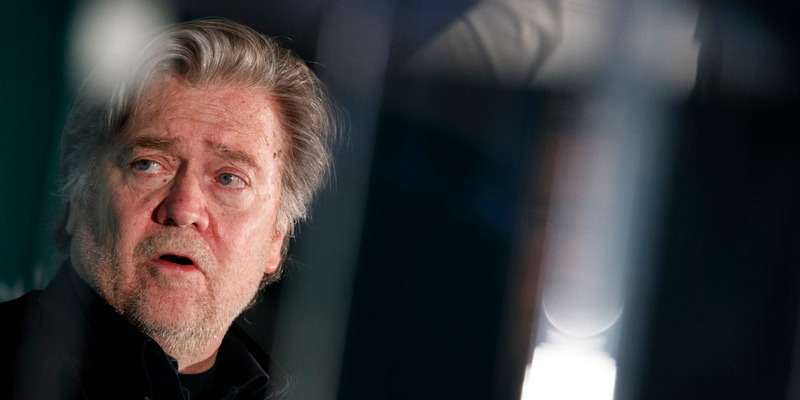 Steve Bannon is reportedly terrified of the #MeToo movement – and thinks Oprah Winfrey poses an existential threat to President Donald Trump. But, Green wrote, Bannon believes the most powerful backlash to Trump is bigger than Winfrey, who’s been the subject of much 2020 speculation. He’s most concerned by the women-led wave of liberal, anti-Trump activism, fuelled by the #MeToo movement. Bannon made these comments after watching Winfrey deliver an impassioned speech at the 2018 Golden Globes, in which she lauded the #MeToo movement and delivered a call to arms against racial and gender-based injustice in front of an audience dressed in black to recognise victims of sexual misconduct. Bannon reportedly believes that upcoming elections in 2018 and 2020 will be a referendum not just on political conservatism, but on historical power imbalances.